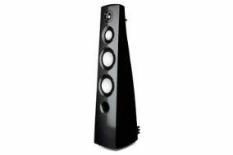 Mordaunt-Short to sell speakers online and through Richer Sounds | What Hi-Fi? "Our team is thrilled by the potential this brings, allowing us to reinvest significantly in the development of new products." Meanwhile, Boston Acoustics will become the preferred speaker partner for Marantz electronics from April 1st. Marantz brand ambassador Ken Ishiwata has developed a new range of Boston Acoustics speakers after the US company was acquired by D&M Holdings, parent company of Marantz, Denon, McIntosh and now Boston.